DRACO ALLURE P Ultra Slim Bumper Case - for iPhone SE/5S/5 (White) - DRACOdesign Inc. 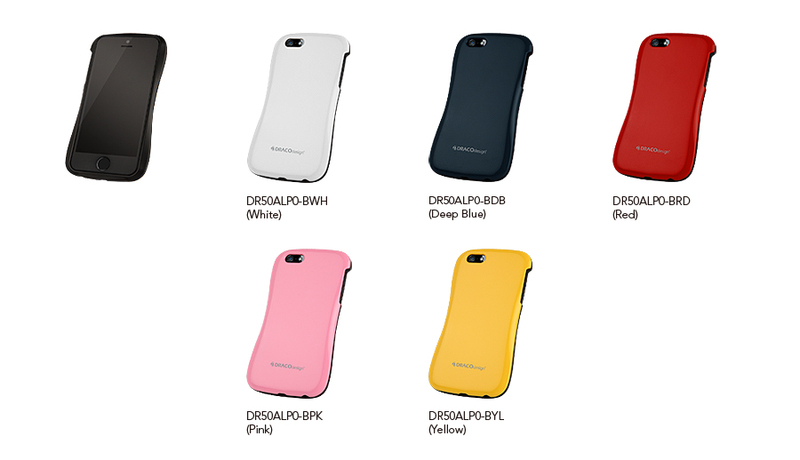 Inspired by the curve line of a female torso, ALLURE P is designer case for iPhone 5/5S. It's designed to be screw less which makes ALLURE P very easy to assemble. The stylish curve line design presented by two tones of color combination on ALLURE-P not only offers great protection but also a distinctive look for your iPhone 5/5S . The upper case, materialized in polycarbonate, is in black color only with inward curve line design, which is ergonomic and fits in the palm comfortably. The height of the bumper is 1mm above the phone when installed, which provides scratch resistance for the surface of the phone. The back cover, materialized in polycarbonate as well with multiple color selections, adopts high glossy painting and coated with UV coating for scratch free protection.